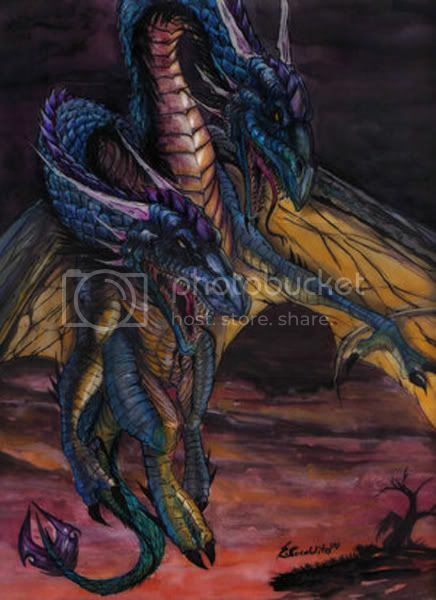 The subject of this guide is Twin Head Dragon which returned in version 6.29. Jakiro is currently a very strong and powerful hero both in inhouses or pubbies and has a place in higher level play. By nature, Twin Head Dragon is a support hero, he is great in ganging, farming and pushing and has the potential to dominate a lane with ease. Jakiro is a versatile hero so you should learn to adapt according to the course of the game - this is the way to fully utilize this hero. After some games with Jakiro recently I have found out that the item build suggested by the judges in the Hero Guide Contest works well, so credits for the improvement of the item build goes to the judges. This guide is going to be short but I will try to stuff it up with good tips and advices. Have fun! Originally found gnawing at the roots of the World Tree during an excavation, this magnificent Chimaera's age is impossible to determine. With his large snapping heads, unpredictable behavior, Jakiro is an intimidating creature to say the least, yet is loyal to the Sentinel for reasons all his own. Due to his mystical nature, he has strange affinity with the elemental forces of ice and fire. This allows him to devastate all in his path ( lane control ^^ ), and he is more than capable of keeping enemies in his line of fury. The Scourge would do best to be wary of this dragon, lest they all freeze and shatter as their precious Frozen Throne melts before their eyes. Jakiro's twin heads let loose an icy blast followed closely by a wave of fire, each dealing initial damage. Enemy units are both slowed and dealt fire damage per second for 4 seconds. Level 1 - 35 damage per breath, 5 fire damage per second. Level 2 - 70 damage per breath, 10 fire damage per second. Level 3 - 105 damage per breath, 15 fire damage per second. Level 4 - 140 damage per breath, 20 fire damage per second. Creates a path of ice in front of Jakiro. After 0.5 second, the path explodes and freezes nearby enemy units. Level 1 - Freeze for 0.5 seconds. Level 2 - Freeze for 1 second. Level 3 - Freeze for 1.5 seconds. Level 4 - Freeze for 2 seconds. When casted it creates a line of ice in front of Jakiro and after 0.5 seconds it explodes and freezes everyone that was on the path of the ice. Despite the latency of the activation of Ice Path (0.5), the predictability and the small disable time this spell is decent and useful if aimed correctly. Enemies can not cast spells if they get caught in the ice of this skill. While one of Jakiro's heads attacks enemies, his other head occasionally spits a fireball at a nearby enemy in front of him, causing fire damage per second in the target area. Can trigger a maximum of once every second. Level 1 - 25% chance to spit a fireball that deals 10 damage per second. Level 2 - 30% chance to spit a fireball that deals 20 damage per second. Level 3 - 35% chance to spit a fireball that deals 30 damage per second. Level 4 - 40% chance to spit a fireball that deals 40 damage per second. Auto Fire is a spell that is made to help in farming. However Dual Breath is already good enough for this purpose and Radiance finishes off creeps after Dual Breath better than the physical attack of Twin Head Dragon so this passive skill is just excessive. Although the damage over time is high it is reduced by spell resistance and Jakiro just lacks the IAS to make use of this skill for any purpose. Jakiro unleashes a line of pulsing flame strikes in front of him. Each flame strike deals damage per second for 5 seconds, and has a 200 AOE radius. Distance increases per level. Level 1 - 75 damage per second. Level 2 - 125 damage per second. Level 3 - 175 damage per second. It launches 5 Flame Strikes( A skill of Blood Mage from ladder) in direction ahead of Jakiro. Deals no initial damage - only damage over time. A strong AOE ult which has big damage potenial if landed well.Heroes like Enigma or Magnataur can help you use it effectively. More tips on the placement of the skill later in the guide. Mekansm - Mekansm is one of the best items for Jakiro for many reasons. It helps Twin Head Dragon with supporting allies with the AOE heal while strengthening Jakiro's own survivability and physical protection. It is a needed buff to armour since Jakiro has low agility gain. If you have noticed Jakiro has 0 initial armour and 4 ending armour ( Ursa and Night Stalker have 5 intial, Obsidian Destroyer has 4 ^^) which makes you terribly vulnerable to physical attacks. Although the mana cost of Dual Breath has been increased supporting the mana for the AOE heal is not a problem especially when you finish Eul's Scepter of Divinity. Eul's Scepter of Divinity - This item gives you mana regeneration and intelligence buff to spam your spells, support Mekansm and Boots of Travel and cyclone that can help you execute your Cyclone/Macropyre/Ice Path/Dual Breath. Charges of Cyclone are useful for ganging and can serve also as a disabling mechanism. Spamming is essential for Jakiro mid to late game - it will ensures that you have enough money to buy them items you need as soon as possible. Cyclone will help in every situation but have in mind that charges are just 6 so use them wisely. Bracers - If you have troubles with focus fire or just need more HP get 1 or 2 of them to make up for this. They are really useful if you for some reason have troubles with other heroes ( gangs, harrass and so on...... ). Manta Style - If you play more gang orientated Manta is a good choice to replace Eul's Scepter of Divinity with. Diffusal Blade packs 10 charges which can be really useful for chasing and landing spells. Manta style will help in team battles by providing some tanking powers and comparatively high damage output ( because Jakiro's stats are high enough to sustain strong images ). Generally Purge is used the same way as Cyclone but much easier because you do not have to time Ice Path or Macropyre, just Purge and cast Ice Path or Macropyre on the enemy and finish off with Dual Breath. What do you mean by "Advisable" and "Core" items? "Advisable" items stands for items that can be changed according to you play style. For example if you prefer a more defensive way of playing you can go for Mekansm and 2 x Bracers, add Eul earlier even skip Boots of Travel in favour of Guinsoo. People who focus on getting gold and on a more aggressive play style can skip Bracers and rush for Boots of Travel. Every game is different so adapt to the changes. For example if you get ganged too much or often die in team battles do not hesistate to fill you inventory with Bracers or if you enemies are playing passively attack them more often and focus on harrassing with spell spammage ( get Eul's Scepter of Divinity ). If you do not do well with the landing of Ice Path get Guinsoo. Boots of Travel and Mekansm are too good to be skipped and worth to try out. However if the situation force you to replace them with other more important items for that particular game you can do this, I would not mind. Jakiro is a versatile hero so you should learn to adapt - this is the way to fully utilize this hero. Make sure there is a chicken on your team, otherwise buy one yourself. Take 2x Ironwood Branches and a RoR( or Tangoes ). If you do not solo you can freely pair up with another hero. A hero with a good slowing or stunning ability can help you land Ice Path well, followed by a Dual Breath which in most cases ensures you a kill. If you have the solo lane in most cases your opponent will be a strong hero like Lich or Visage. In case you do not solo the opponents will pack a really powerful combination like Sand King / Pugna, Sand King / Leshrac, Sand King / Bane, Lich / Death Prophet and so on. Provided with the additional stats you can handle this lanes and even dominate them if you use Dual Breath correctly. Last hitting with Jakiro is pretty easy due to the high damage and fast attack animation and it is easy to get used to. Always watch your opponents moves and it is highly advisable that you buy Observer Wards and put one on the hill so you have always vision of what your opponents is doing. Put the other two wards near power ups or high places to have vision of bigger area and thus lowering the chance to get ganged. Till level 5 play safe, last hit and preferably deny creeps. Once you get Dual Breath level 3 start playing aggressively. Whenever you see the enemy coming close to creeps to execute a last hit, fire off Dual Breath and hit 1-2 times, get back and wait till Dual Breath cooldowns and then repeat. This move is very damaging ( for the enemy) but after executing it you may need some Tangoes to regain HP because creeps may hit you as you issue an attack command on your target. Do not be overagressive since you can get disabled and take a lot of physical attacks by creeps and heroes. Around level 8 you should buy a Void Stone to assist you in spamming Dual Breath and later buy Boots of Speed. Try to get as much creeps kills as possible while harrassing the enemy. The ranged creep dies from one cast of level 4 Dual Breath early game and melee creeps take 2-3 hits to finish off. In the .gif animation after this paragraph you can see a way to disturb the last hitting of the enemy. With the 1-2 hits you make after the release of Dual Breath Jakiro makes the enemy retreat which leaves you the chance to get the gold from all the enemy creep without having troubles with the enemy hero denying. Dual Breath in my opinion is an easy to use skill. I strongly advise you to use it by clicking on the ground since you can aim it better to hit more targets. When you chase an enemy and you just click on it is very likely that you even do not execute the spell at all due to the casting animation. Targeting ground is the way to do it, simple and efficient. Make sure you target the spell close to the enemy when chasing so you do not miss with it. In case you just want to harrass cast Dual Breath a little in front of the target so you do not move. This gives the enemies no clue that you will use Dual Breath at them. The AOE is pretty big and missing with this skill is a really difficult thing. Note that units may get hit only by one wave resulting in lower damage and no slow so make sure they fully receive the effect of the spell by shortening the distance between you and the target. To kill or to last hit? Do not be too agressive since tower diving is not advisable early game. Twin Head Dragon generally does not have a HP problem and if the kill takes only one Dual Breath and some tower diving till Dual Breath cooldowns take the chance if Jakiro's HP is higher than 1/2 of its maximum. In case the enemy has more HP than this you may get stunned and die to a tower easily . Try to harrass half of the time, while in the other half earn gold from last hitting creep. In a shared lane the proccedure is pretty much the same. Warn your ally to stun/slow whenever you cast Dual Breath at the enemy so you fire off Ice Path immediately. Look at the Aiming with Ice Path Section for more information. I advise you to use Jakiro together with a AOE disabler like Enigma or Treant Protector so you make full use of Macropyre mid game. With the good farming capabilities of Twin Head Dragon rushing Mekansm till level 10-11 will not be a problem. At level 8 you may consider ganging enemy heroes. Dual Breath is a powerful ganging tool because it is very damaging and slows the target. If the team does not feel the need to gang just last hit peacefully and earn money for Boots of Travel. Do not forget to use Mekansm when needed. If you have done well early game, you should have obtained Void Stone, Boots of Speed, Mekansm and be on the way to completeing Boots of Travel. Provided with the mana regeneration from Void Stone you will be able to spam your Dual Breath, Ice Path and Mekansm easily. Make sure you max out Ice Path and ask if your team needs a gang anywhere on the map. This point is decisive for Jakiro,if you do well here and kill the enemy considerable amount of time you will get a big advantage against them in terms of items and level so you will be able to finish the game with one strong push at middle lane with your team. Mid game is when Jakiro will mainly earn money by pushing lanes and ganging. Boots of Travel is the next item you should farm mid game. It will help you push, farm, gang at excellent rates and this is your role in the team. Spamming is now essential for you success - with the huge mana pool that you have you should constantly spam Dual Breath at creeps to net kills and even use Macropyre at really big pushes to obtain money even faster. Do not forget that you are not just a spamming spell caster, you can do some really good gang also. Ask allies if they need gang anywhere and use Boots of Travel to teleport and help and do not forget to use Mekansm when needed. You are a support hero, keep this in mind, help your team, this is the key to success. Macropyre has many uses. At level 2-3 it is very damaging if enemies are under the effect of it for long time. Keep in mind that it is released in a column and each flame strike deals the full damage. In big team battle just drop it close to the enemies if you do not have a good AOE disabler to help you in landing it better - look at the combo section for more information about landing Macropyre with the aid of an AOE disabler . Launching it diagonally is a good way to use it. Whatever direction the enemy take the will get damaged for at least one - better than nothing. If an enemy melee hero is hitting Jakiro just released Macropyre on it followed by Ice Path - in most cases the melee hero will retreat fried and may even die. The total damage from Macropyre for the whole period is very big. Macropyre is one of the best skills for tower attacking and tower defending. It is simple : When the enemy team is whacking your tower release Macropyre in front of them and they will scatter since staying under the effect of Macropyre is a suicide. This way you can gain some time to defend the tower and in the same time you will split the enemy team ( they will try to avoid Macropyre by running in different directions ) so your team can take them down when they try to escape. When the enemy team is tower hugging release Macropyre at their tower so they leave it. This way you give your team 3 seconds to take down the tower which can make your onslaught successful. Supporting Mekansm, Dual Breath, Boots of Travel, Ice Path and Macropyre will be a challenging task for a single Void Stone. Buying Eul is the decision of every mana problem you will face. It helps to maintain the fast depleting mana pool of Jakiro and also give you charges of Cyclone. Charges of Cyclone are useful for ganging and can serve also as a disabling mechanism. Spamming is essential for Jakiro mid to late game - it will ensures that you have enough money to buy them items you need as soon as possible. Cyclone will help in every situation but have in mind that charges are just 6 so use them wisely. In team battles use it on the enemy powerhouse heroes. This may be decisive for the end result of the battle. This is a very simple combo to execute but it requires some timing. However it is really damaging and can net you some kills. 5. Hit once or twice and then start running next to the target. Around level 16 is the time call your team for a decisive push. Jakiro's AOE damage capabilities have reached their peak - you will have Macropyre level 3, Ice Path level 4, Dual Breath enough HP and mana regeneration to use your full potential. Usually most games end here because one well executed combo in which Macropyre has done all the damage it can will clear off your path to crush raxes and eventually win the game. First of all, keep in touch with your team mates and especially with your AOE disabler since if he/she/it does his/her/its stuff well at the correct time landing your nukes will be a piece of cake. YOur next item varies - Guinsoo, Eye of Skadi or Aegis of The Immortal. Guinsoo seems like the best choice most of the games, but Aegis of the Immortal or even Kelen's Dagger of Escape can be better in some situations. Generally Jakiro will need Guinsoo's Scythe of Vyse for the extra disable but sometimes Aegis of the Immortal can be much more useful ( if Jakiro gets constatnly focused ). Jakiro is a strong AOE damage dealer especially after Twin Head Dragon obtains Eul's Scepter of Divinity ( Mana Regeneration ) and you should never underestimate his powers when combined with a good disabler like Enigma, Earthshaker or Treant Protector. You are not the combo starter so wait for these heroes to launch their disables and procced in the way explained. Cast Dual Breath often and do not forget to use Cyclone and Mekansm if needed. Keep in mind that Macropyre will deal damage in a long range in front of you, which means that you will not always need to be that close to your targets to launch Macropyre although it is advisable to shorten the distance when doing this. Stick to your team and make sure you constantly use your spells. You should have obtained a lot of gold woth the aid of Boots of Travel and Dual Breath. Your role is pretty much the same at this point - spam Dual Breath to push faster and slow enemies, use Ice Path to disable them for your team and use Macropyre in big battles. Macropyre is difficult to land( and exceptionally difficult if you are playing against smart enemies and you have run out of Cyclone charges) as people can just avoid it by walking away, but provided that you have some good AOE stunner/slowers in your team you will do pretty well with it. If it really looks like you will lose the game, do not hesitate to pool your allies. It is an illegal tactic but this is the only thing you can do since you can not make full use of Divine Rapier with your pathetic attack speed. Ice Path on the other hand is a very difficult spell to land. It can be compared with Pudge's hook and if you play against decent player there is a chance that you miss sometimes with it. It will be pretty much easier if you have an ally to stun the target so you launch a good Ice Path but with some training you may not need it. The key to launching this spell well is to get hidden so the enemy is unaware of your presence.Ice Path has good casting range ( 800-900 ) and you can use it through trees nearby the enemy. You may use it by clicking on the target, provided that the enemy is peacefully auto attacking and standing still. However I prefer clicking on the ground, since when you choose the possition manually you can take in account the movements of the enemy and as I said clicking on the target will work only if they are not moving. In most cases 0.5 is not enough to react and juke the spell so if the enemy get caught, fire off Dual Breath and proceed to killing the victim with your allies. Here your skills with Pudge's hook may come in handy. However there are some slight difference between these two. First , Jakiro's Ice Path travels faster and has 0.5 seconds activation time. Although it may look like it is slower than Pudge's Hook it is not that way. My advice is to launch it on smaller perspective distance compared to the distance you lauch Pudge's Hook on. This lowers the chance that the spell gets juked a lot, since Ice Path will be closer to the target. Whenever an enemy is running make sure you cast Ice Path in front of the enemy, in the most common direction they will take. It can be juked if you fire off too early and generally the enemy will be always aware when you may cast it and where. I strongly advise you to use it in situation where the enemy is either noob or in "OMG, PANIC situation" and there is only one correct direction that he can take ( provided that the others mean certain death). For example if an enemy is being chased by three heroes in an area with no nearby exits and the only right direction is running forward - so Ice Path should be aimed forward (Oh, really?). However a well launched Ice Path is difficult to juke, it just takes some practise to get good with it. This is a common strategy shared by Earthshaker's users as well as from Twin Head Dragon users. Just fire off it in front of the enemy so the do not run back ( or ahead ) and get trapped so you allies can finish them off. I have found for myself that Enigma will be the best disabler for this purpose. Just tell him to warn you before he blinks in and Black Hole so you are prepared to launch Macropyre. So he activates Avatar, blinks in cast Midnight Pulse and as soon as he casts Black Hole, fire off Macropyre and begin to count to 3 then fire off Ice Path, followed by Dual Breath. This combo can dish out more than 1400 Damage to each enemy in 4 seconds without enemies being able to react at all. This clears up the path for another AOE monster like Earthshaker to finish off the enemy......The result really depends on how well Enigma placed Black Hole - how many of the enemies get caught and how close they were to the Black HOle. The proccedure is pretty much the same, tell him/her/it to warn you before he/she/it blink in and make sure you cast Ice Path after the first spell he releases( in most cases Echo Slam). 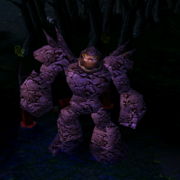 Cast Macropyre and hope that he cast Fissure early enough, so they do not escape. Cast Dual Breath to finish them off. This is one really good combo for early game - Beastmasterand Jakiro. Wild Axes and Dual Breath when used properly can make even a combination like Sand King / Bane Elemental look inferior as proven in many league games recently. Enigma is your best partner in any stage of the game. First early game Enigma has MAlefice, which will help you dominate your lane and also for landing Ice Path and Dual Breath. Later Darchrow has Black Hole to help you in possitioning Macropyre. Just before Black Hole is over make sure you cast Ice Path so enemies get the full damage of Midnight Pulse. Enigma and Jakiro utterly rapes in every stage of the game......The case with Earthshaker is the same - enough stun for you to land Ice Path and Macropyre. Your Ice Path helps Raigor in doing more damage to close enemies because of Aftershock. Treant, being the ultimate support hero, is one of the most valuable allies to Jakiro. Early to late game his Living Armor will help you a lot since you lack good amount of armour. Overgrowth is one of the best spells to help you in landing Ice Path and invisibility and free wards can always help. Jakiro's worst nightmare are all heroes with armour reducing spells, no doubt here. Aegis can make up for the armour loss, but still they will severely damage you with physical attacks. May be the most scary of them all is Slardar, -15 armour is a lot compared to 16-17 which is the best quantity of armour you can get, assuming that you do not only pump up armour which is dump. All the Desolator carriers are a big threat to you before you get Aegis and even after that they are dangerous because Jakiro is terribly vulnerable to physical attacks without armour. Guinsoo's Scythe of Vyse - Make sure you obtain this after you have run out of Cyclone charges, a 3 seconds disable is always useful and can be realy helpful in Ice Path landing. Eye of Skadi - My personal preference on what items to get later is Eye of Skadi because all the stats it gives are useful for Jakiro. Although much more difficult to farm its benefits are really good especially the Frost Attack which will help you a big time in landing Ice Path and in chasing heroes also. Stats to agility will give you armour and attack speed which will be useful, stats to intelligence will give you damage and other benefits and HP boost will improve your survivability. Eye of Skadi is generally accepted as an item for battle mages which is not always true. It is rather a stats improving item and stats is what make it useful , not Frost Attack. A needed buff to armour since Jakiro has low agility gain. Naturally Jakiro's HP is decent and armour will increase his EHP by a great degree. If you have not noticed Jakiro has 0 intial armour and 4 ending armour ( Ursa and Night Stalker have 5 intial ^^) which makes you terribly vulnerable to physical attacks. Later if you choose Eye of Skadi armour will be more efficient since higher HP makes armour even more useful for improving EHP. A death can decide the game and it is very likely that your team lose the game if you die at a decisive point of the game. Necronomicon - If you feel that you really need more hp you can replace Eul's Scepter of Divinity with Necronomicon. It will help in dealing with invisble heroes or mana dependant heroes like Leoric or Obsidian Destroyer. Radiance - If you are farming well and you have a solo lane do not hesitate to rush Radiance even before Mekansm and Boots of Travel. This will give your team a good advntage early game. At first look this item seems like a waste on Jakiro. Many will say that Twin Head Dragon has enough farming power with Dual Breath but this is actually not true. Radiance and Dual Breath, combined with Boots of Travel, will make Jakiro one of the best pushers in the game - killing waves in seconds, earning money at rate comparable only with Furion with Aghanim. It will improve your AOE damage in battles so you will be a big problem for the enemy team with Dual Breath, Macropyre and Immolation. The physical damage will be useful when you hit the enemy after Dual Breath of during Ice Path. Some will say that it will make the enemy team focus Jakiro and Twin Head Dragon will not be able to survive in a team battle. Keep in mind that Jakiro is not fragile as the other intelligence based heroes because of the HP of Twin Head Dragon combined with Mekansm. Think of which is better...... To have the fat Jakiro focused or to have the low HP Rhasta killed in seconds. great idea but use ur bloodstone!! and don't get my Rhasta easy to defeat!!! Weak c ren ren 4-0... hahaha!!! is jakiro melee or ranged? is vanguard needed by jakiro ?